Sega Blast City and New Astro City Chassis boards will have one final production run, with the boards no longer available after this time. 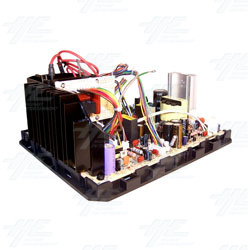 The factory will not be making any more of these chassis' due to the increasing amount of people using LCD screens, the ones that we have are 3rd party chassis boards. Our remaining stock for these are going fast, so if anyone is interested in purchasing one of these units please contact us immediately, as we can not guarantee how long they will last.